Château La Marzelle, Grand Cru Classé Saint-Emilion, extends its 17 hectares on a very special and restricted soil very on the Haute Terrasse de Saint-Emilion, the old bed of the river the Isle. The Château La Marzelle shares this land with other prestigious wines as Pétrus in Pomerol, Cheval Blanc and Figeac in Saint Emilion. The soil contains vineyards with pebbles, sand and clay. It is planted with 80% Merlot, 13% Cabernet Franc and 7% Cabernet Sauvignon. Manual harvesting. Severe sorting. 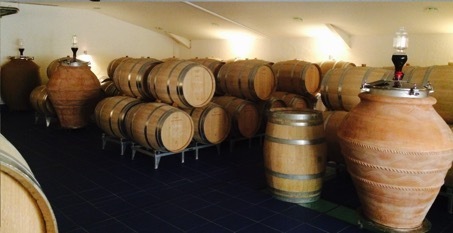 Maturing 12 to 18 months in French oak barrels. This property, whose name already appears on the card Belleyme in 1821, was classified in the first ranking in 1955. In 1998 the Belgians Jean-Jacques and Jacqueline Sioen acquired the castle.